Opponents of Supreme Court nominee Brett Kavanaugh plan to keep up the pressure on Republican Sen. Susan Collins, a key swing vote. 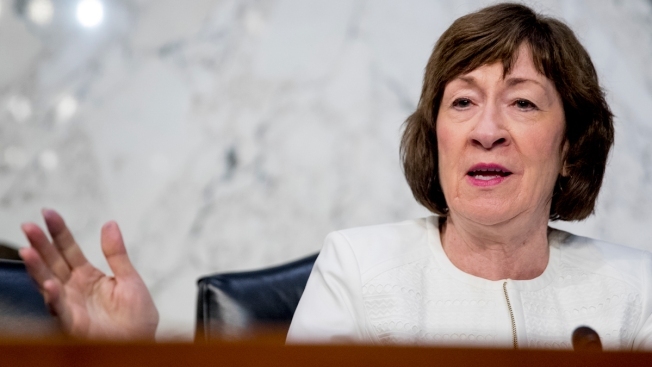 Collins has not said how she would vote on Kavanaugh's nomination. Demonstrators planned to show up at her Portland office on Monday to urge her to vote no. It's the latest in a series of demonstrations at Collins' offices. Demonstrators also held a sit-in at her Portland on Friday, the day the Senate Judiciary Committee voted along party lines to advance Kavanaugh's nomination to the Senate floor. The FBI is conducting an investigation into claims of sexual misconduct against Kavanaugh. Collins has said she supports the investigation. Maine's other senator, independent Sen. Angus King, has already pledged to vote no.